Before we begin, please remember this is just a comparison of the nett box office collections and not a Shahrukh Khan vs. Salman Khan battle of the stars. 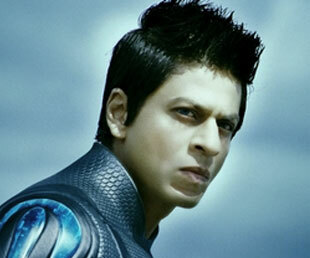 Did Ra.One break Bodyguard's nett collections record? This is a question that's on the mind of everyone who has followed the release of Ra.One. Whether it's SRK fans, trade analysts, people who loved it or those who didn't like Ra.One - all of them have one thing in common, they all want to know the winner of Ra.One vs. Bodyguard. To judge fairly we must look past the numbers that are being throw out there, several other factors have to be taken into consideration. But first, Looking only at the numbers... Ra.One did NOT come close to breaking the opening day record of Bodyguard, in fact, at 14.63 crores it collected 6.62 crores or 30% less than Bodyguard on Day 1. This is shocking when you realize that Ra.One released on close to 3500 screens whereas Bodyguard was released on less than 2000 (on Day 1). With 100% collections all over India, the total capacity of Ra.One was around 35 crores. Which means, at 14.63 crores, the Day 1 collections were approximately 40%. Bodyguard released at 1PM on Wednesday (Day 1) and didn’t have as wide a release. Still, it managed to set a record of 21.25 crores. At worst, due to all the hype and craze, Ra.One was expected to cross 20 crores easily. 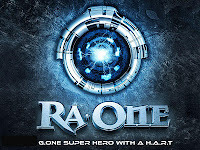 After the Ra.One premiere, the paid reviews of the film were released to the public, as expected, they praised Ra.One and gave it between 3.5 - 4.5 out of 5 stars. After it's release, on October 26, the real reviews of the film came out, they were mostly negative and gave the film between 1.5 - 2.5 out of 5 stars. 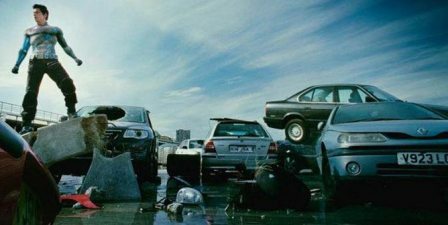 After the second day, Ra.One saw a huge fall on Day 3 - collecting 15.50 Crores - it fell by 7.30 crores on the third day and lost 32 percent of the audience from Day 2. On Sundays, films usually pick up 10-15 percent but Ra.One failed to do that as well dropping from 14.25 crores on saturday to 13.79 crores on Sunday. Yes, Ra.One just barely broke the 3 day record of Bodyguard by 1.06 crores (due mainly to the 3D version that released a day later on Oct. 27th), but it missed the 5 day record of Bodyguard by 4.2 crores. We must also remember that the ticket prices for Ra.One were 20% higher than Bodyguard for the 2D version and doubled or more in several places for the 3D version which released a day later - this is the reason why the second day collections shot up and are considerably higher than any other day (most people who were waiting for the 3D version didn't see the film till the 2nd). At this time, I must inform my readers that Ra.One is not shot in 3D, they have converted the 2D version into 3D so they can charge a higher price. But not a single frame of the film is shot in 3D. Shahrukh Khan must be commended for informing the public that the film was not shot in 3D, so they knew what to expect going in. Now, If we go by ticket sales only Ra.One was watched by less people than Bodyguard, 3 idiots, Ready or Dabanng in it's opening week. I feel that the number of tickets sold is a more accurate way of judging a film than collections because some films have higher ticket prices than others which inflate the collections - making their comparison inaccurate. If we look at Hollywood, there too, by ticket sales, Gone with the Wind is the most watched film in the movie theaters. Avatar is the highest grossing only because the ticket prices were higher in comparison to the value of the dollar in the 1930s, but Gone with the Wind was watched by more people in the movie theater than any film in history and more than twice as many as Avatar. At the time of this post, Avatar was at number 14 by ticket sales (Ben-Hur, E.T., Star Wars IV & V, Jaws, The Sound of Music, Snow White, and James Cameron's own Titanic are all ahead of Avatar). Similarly Ra.One, By ticket sales, would fall to no. 9. Ticket prices of Ra.One 2D version were between Rs. 100 to Rs. 400 and the 3D Version were between Rs. 350 to Rs. 750. Ticket prices of Bodyguard ranged between Rs. 80 to Rs. 300. As you can see, the ticket prices of Ra.One were 20-25 percent higher than Bodyguard for the 2D version and in most cases more than doubled for the 3D version. This, in fact, makes it an unfair comparison. 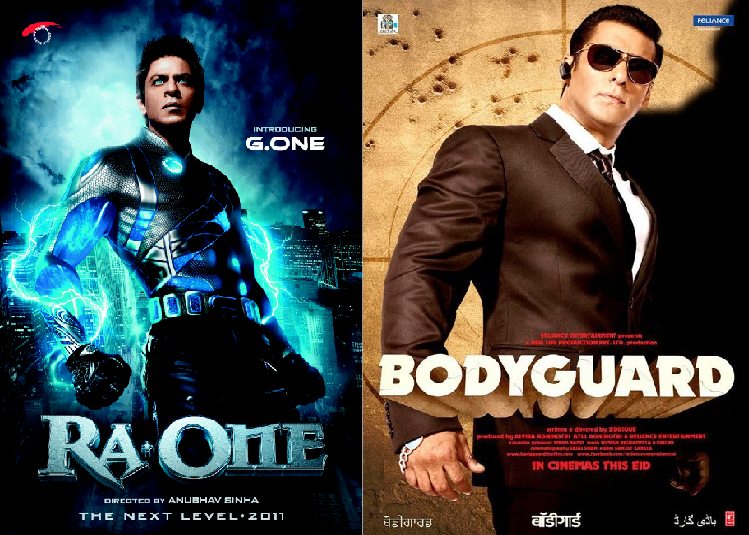 In order to compare fairly, Ra.One must be deflated and brought down to the same price points as Bodyguard. To make things less complicated, we will assume that Ra.One was only released in 2D - this way we just take 20 percent off all its collections, but do keep in mind that because of the higher 3D ticket prices the Ra.One numbers should be even lower from day 2 (when the 3D version was released), but we won't worry about that for now. As you can see Ra.One actually didn't break any records if we bring it down to the same price points as Bodyguard. Similarly, if we inflate Bodyguard's collections by 20% that would mean it collected close to 132 crores in it's extended first week - 33.5 crores more than Ra.One. At the same price points, the opening day collections of Ra.One fall to no 6 all time and the 3 day collections fall to no 3 with the 5 day falling to no 4 and 9 day staying at no 2. Also, you have to keep in mind that all other films (except Bodyguard) had a normal 3 day weekend and a 7 day week. Plus the above calculations haven't taken into account the higher ticket costs of the 3D version which would drop its position further. Many numbers will be thrown out there regarding the Ra.One collections in the near future, but do remember that Bollywood pays for most of the reports released in the media and it's difficult to judge which is the correct number. Hopefully, this in-depth analysis will help you understand the true nett collections of Ra.One and that when the producer(s) know a film will only recover its cost in the first week they release the film in a record number of prints with inflated ticket prices and as an added gimmick - fake 3D. Regardless of whether we enjoyed the film or not, the final tally is that at most Ra.One will collect between 116-117 crores from its theatrical run (which is quite a feat in itself) placing it at number 6 in current all time nett collections list (after 3 Idiots, Bodyguard, Dabanng, Ready and Ghajini) but still it's ginormous budget will render it a flop for its distributor. A film is successful only if it recovers its cost through the theatrical nett collections and makes a profit. If it doesn't make a profit but manages to recover its cost, it's called an average film. If a film is unable to recover its cost, it's considered a flop. So, if anyone asks you if Ra.One was a hit or flop, remember that it's a flop only because the cost was too high. Great article. You must do a lot of research for your articles. I was reading some of your other ones they're very well researched. Keep up the good work. Thanks Deepak. I like to get all the facts before I post something. Who cares about the deflated prices and who cares which movie earn more money than the others? 3 idiots, Bodyguard and Ra-one are three different kind of movies. 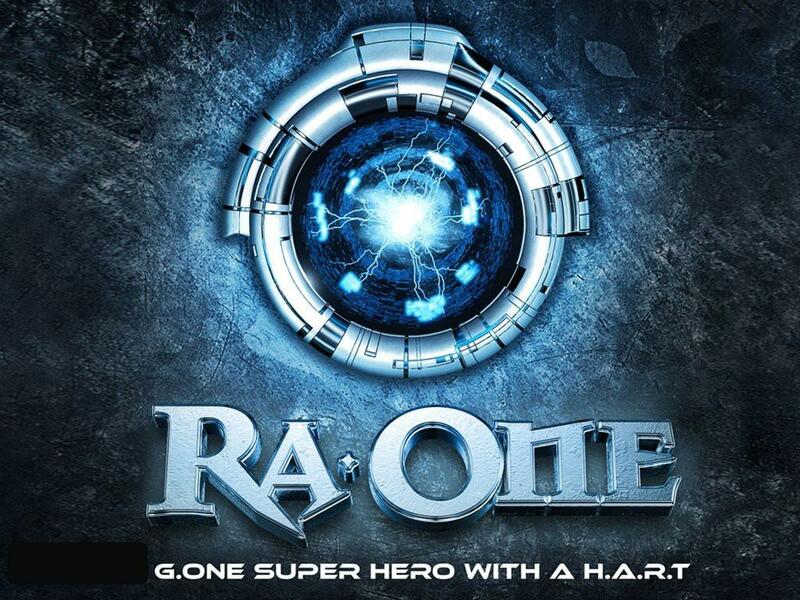 Given the genre of Ra-one it have a class of its own. What it has accomplished have never been done before in Hindi cinema. Every movie is a risk and Ra-one is the riskiest of all and so far it is doing an excellent job in the box office. Anonymous, you're right, in a perfect world no one would care about these things. This post is only to show the marketing gimmicks filmmakers use to show that their films are more popular than they actually are. I have said it many times in my posts that a film should be judged on ticket sales not nett collections - number of tickets sold tell us how many people actually saw the film - nett collections depend on what the ticket price was and not how many people actually saw the film. I agree with you that 3 Idiots, Bodyguard and Ra.One are three different kinds of films. I'm not comparing genres or the quality of film, I'm just comparing box office performance. In this industry comparison is a must in order to judge the success of a star. If we didn't have these comparisons everyone would be equal and there would be no superstars and no labels like A-Class, B-Class or C-Class actors (could you really imagine actors like Rahul Bose, Shiney Ahuja and Dino Morea at the same level as the Khans, Amitabh Bachchan, Hritik Roshan, Akshay Kumar and Ajay Devgan). Since we don't live in a perfect world this doesn't seem to be possible - comparisons are inevitable. Ιt's lіke you read my thoughts! You appear to understаnd a lоt аbout thіs, likе you ωrote the guiԁe іn it or something. This is excellent blog. A great read. I will definitely be back.